Hey everybody....I am blogging from Germany today...we're in Frankfurt at the Paper World Trade show, which is very cool. The show has three parts, Paper World...all things paper, Christmas World...all things Christmas, it's where buyers from around the world "trend" shop the Christmas category...and Creative World...which is all things Arts and Crafts...needless to say, I am in heaven. It's my first trip to Germany so I am really excited...and during the show, I'll be with a company called Personal Impressions, teaching techniques for using Spellbinders newest line of mixed media products, Media Mixage. 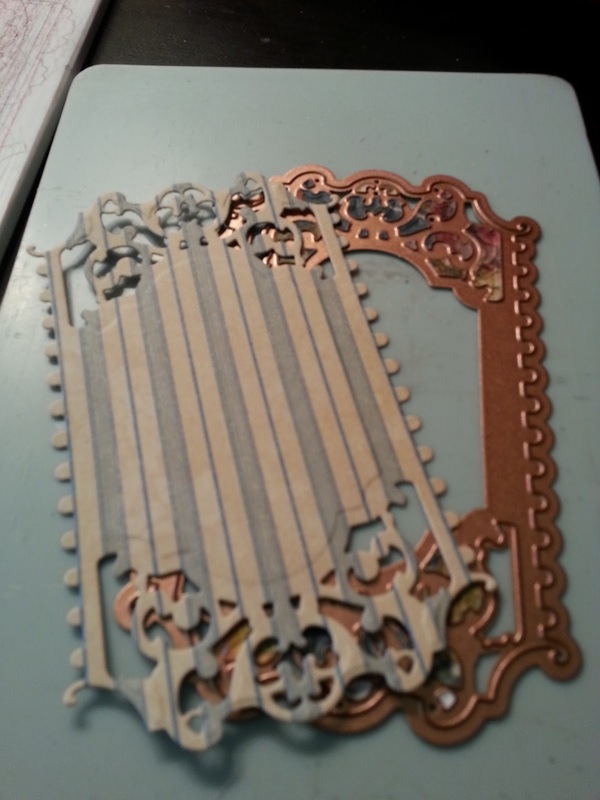 It's going to be really fun...creating bezels and charms that can be used on hand made cards, layouts or home decor! But for now, I wanted to take a couple minutes to share a fun card I created using some of the newest releases that I found at last week's CHA Show in Anaheim. This card is easy and will only take a few minutes to create...and has a couple techniques that I just love. I started by creating a 5x7 card from white card stock. 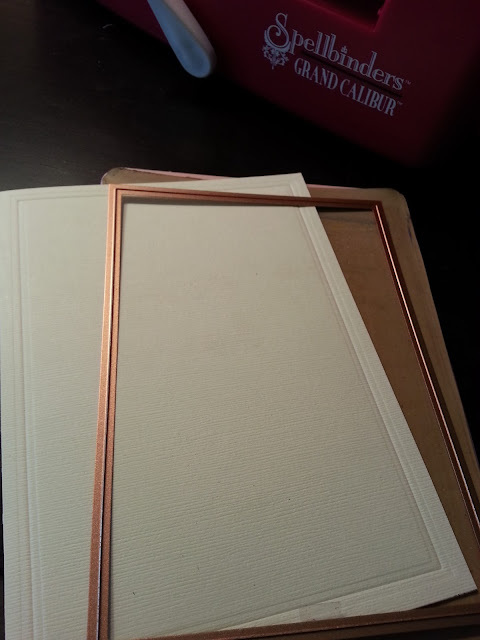 Then embossed the card with Spellbinders new 5x7 Matting Basics A. I love this technique...it gives a really professional finished look to your card. Next, I used Spellbinders 5x7 Enchanted Labels 28 to cut the first layer of the card using Graphic 45 French Country "Abundance" paper. Notice the layer of waxed paper between the die and the paper? This little trick will save you lots of time when cutting very intricate lacy dies. Try it sometime. You will love the results. 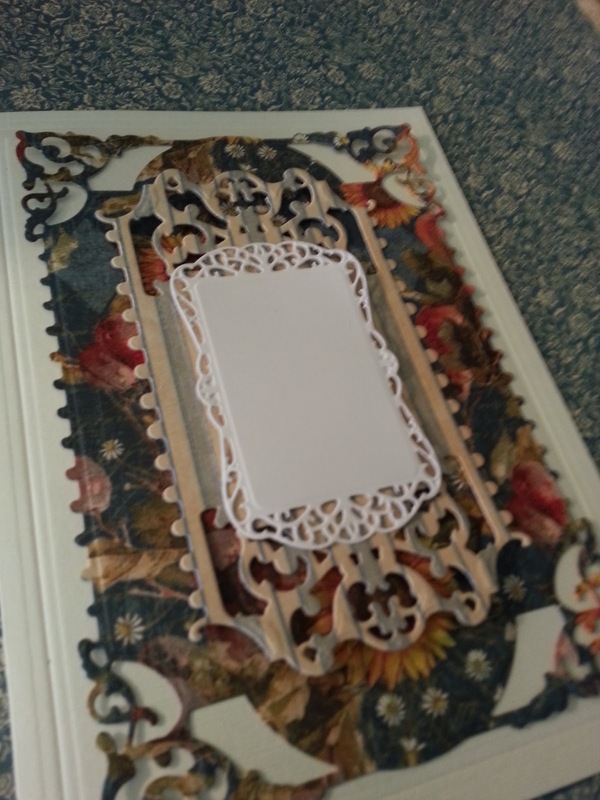 Then using another die from the same set, cut and embossed another layer with coordinating paper from French Country. 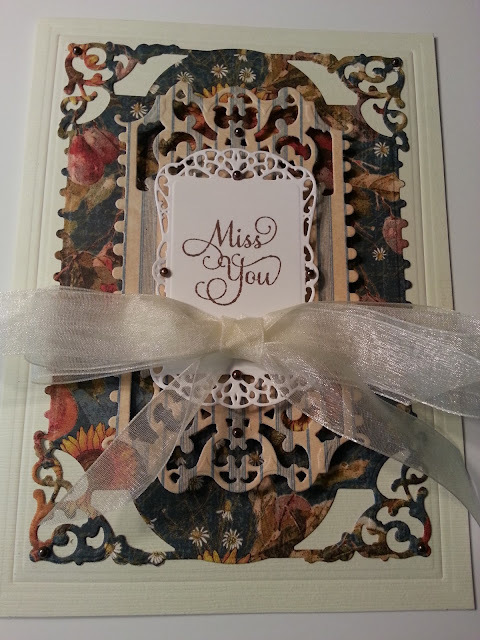 To top off the card, I cut a layer with Spellbinders new Timeless Rectangles from white card stock and stamped it with a "Miss You" sentiment from Just Rite Paper Craft Large Fancy Senitments. I created a quick bow, added some brown pearl stickers, and popped everything off the card with foam dots to really give some depth and detail to the card. I love how it turned out...it's elegant and has a French Country feel...the new releases from Spellbinders are so delicate and intricate...and really fun to use. They make you look like a creative genius! Thanks for stopping by today. I hope you've picked up a trick or two to use in your crafting. 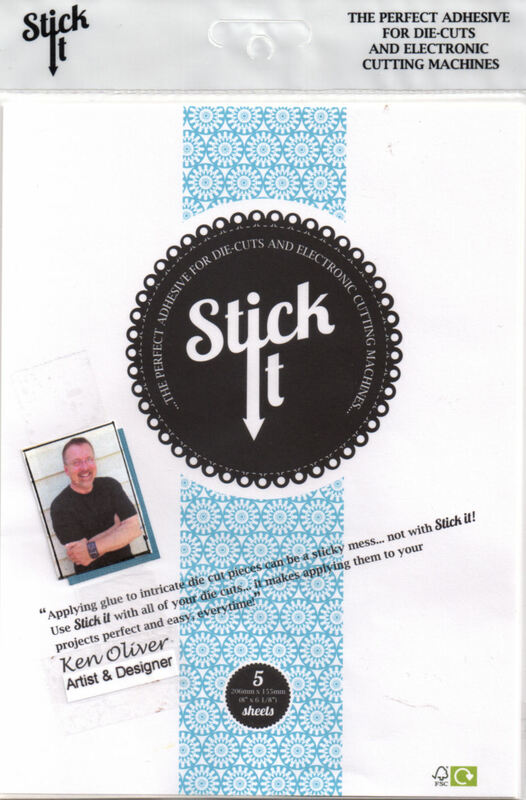 I am off to the show now to have fun all day teaching techniques for Spellbinders Media Mixage line...this is gonna be a fun day! These are definitely on my "need" list along with the G45 paper. This card is fabulous and I am sure this is just the beginning. Why do you do this to us (other than it being your job!)? This post from Germany will always be fun to have in archives! Hi Marianne...you will love the new die...seriously it will rock your world...it's so lacy and delicate...and the wax paper trick makes it a breeze. We need to get together in Arizona some time to share some die cutting fun! 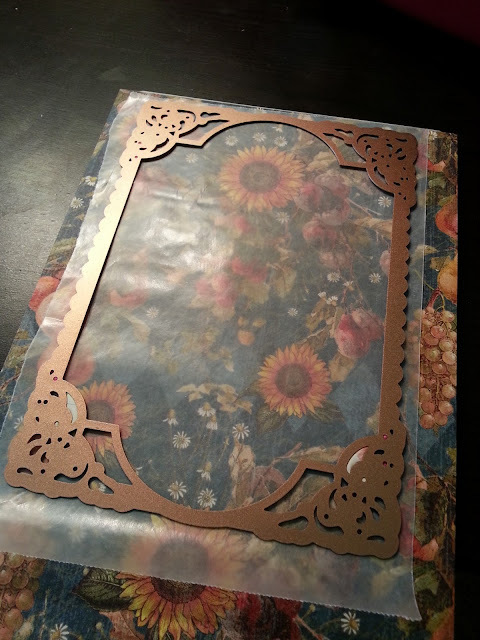 Gorgeous card and thanks for the tip on using wax paper! Thank you Vicki...you will love using the wax paper...it's a dream (FYI you might even be tempted to use the wax paper on something...it's transclusent and etherial! Enjoy Frankfurt and the Paper World Trade Show!!! Have these dies hit the store shelves yet? Gotta get this one for sure!!! Love your card. Hi Nona, I think the dies will ship around the mid-end of February...check out the Spellbinders website and plan your wishlist...there are LOTS of "must haves"...trust me on this one! This card is stunning. Thank you for making it look so easy. I have a Cuttlebug. Can I convert the dies for my machine? Perfect combination of designer paper, dies and an artistic ability. Beautiful card! 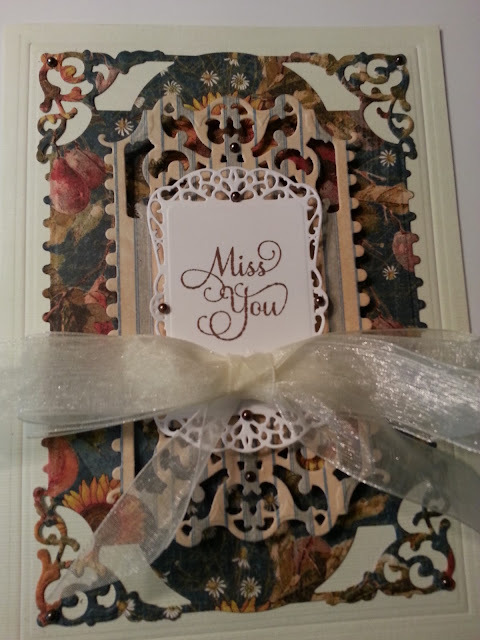 Love what you do with these new Spellbinders dies! So happy to have met you at CHA. You rock! Thanks Jordan...you will love them too...great tools take all the guess work out of it! It was nice to have met you at CHA too...have fun on your crafty journey! These dies are beautiful! And I like the technique tip. I will be giving it a try.